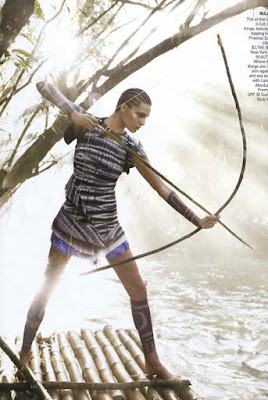 The Warrior Way photoshoot for March Vogue has got to be my favorite this year. True to herself, Grace Goddington created a magical world where Daria Werbowy's armor consists of McQueen & Balenciaga outfits. Very Fashionably Fierce!